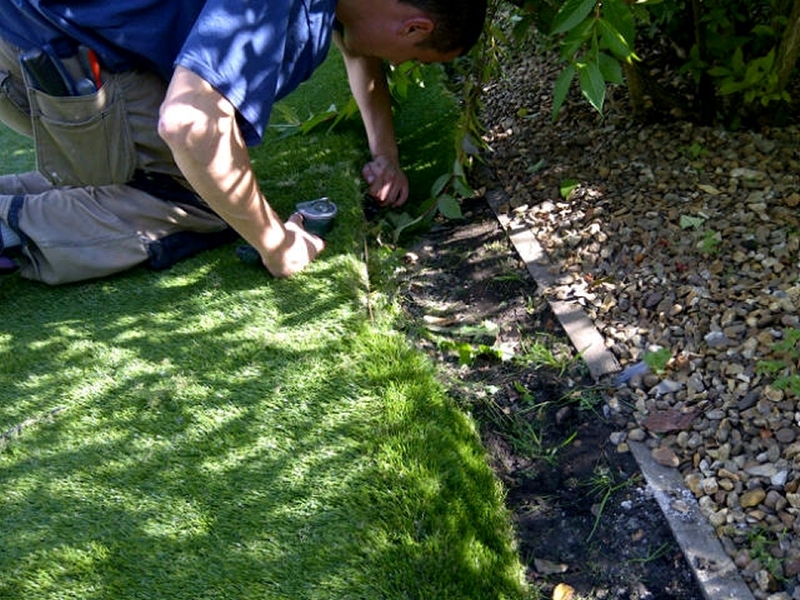 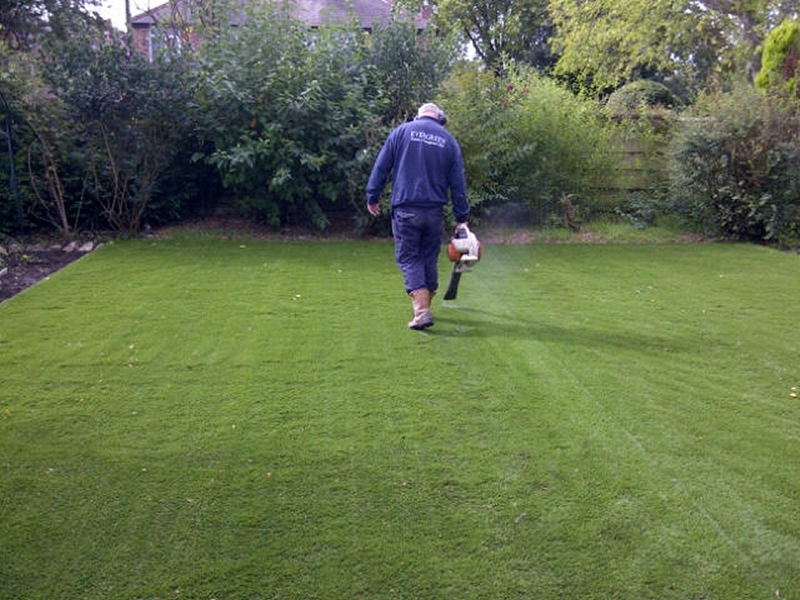 Artificial Grass : The original surface was excavated and removed. 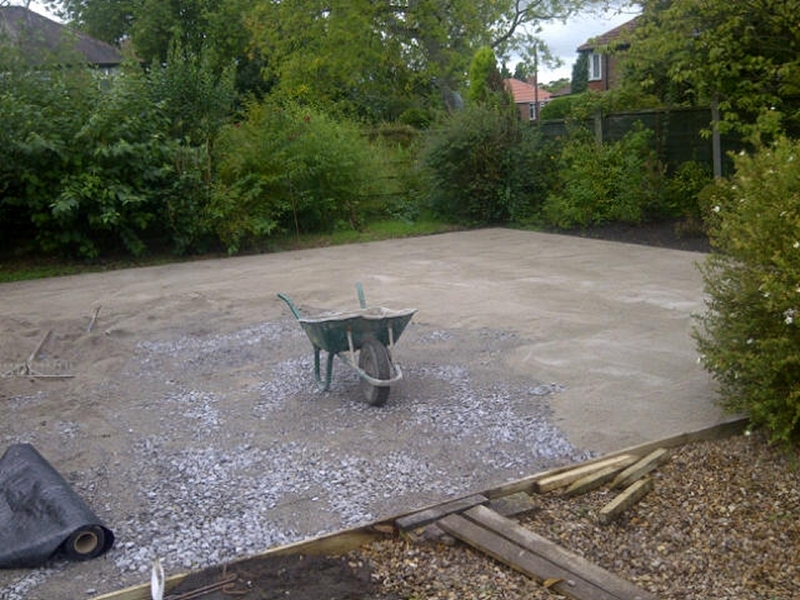 The perimeter was secured with timber boards. 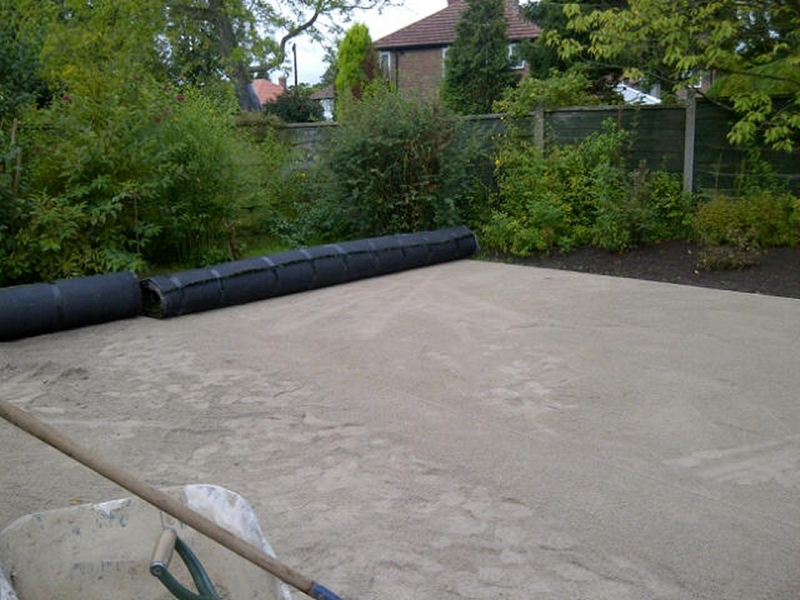 100mm of stone was compacted on top of a weed surpressing membrane topped with 50mm sand. 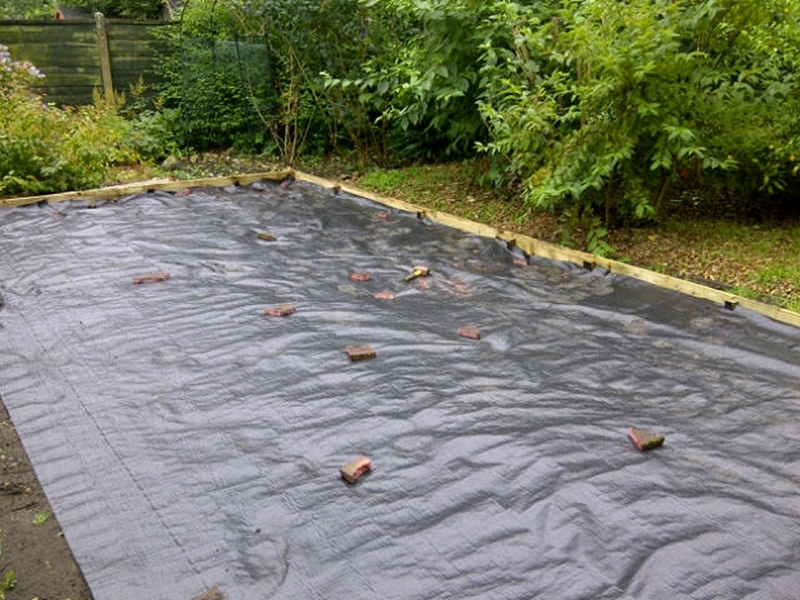 The artificial grass was then placed on top of this and rolled out, the edges were glued and nailed to the timber boards on the perimeter, any excess trimmed off. 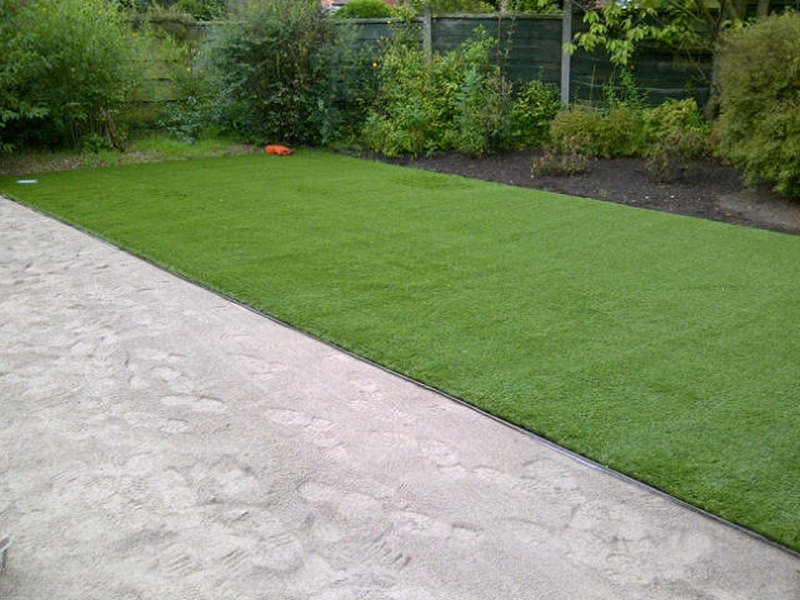 Finally the artificial grass was blown to open the pile leaving a realistic lawn for the family and pets to use in any weather.